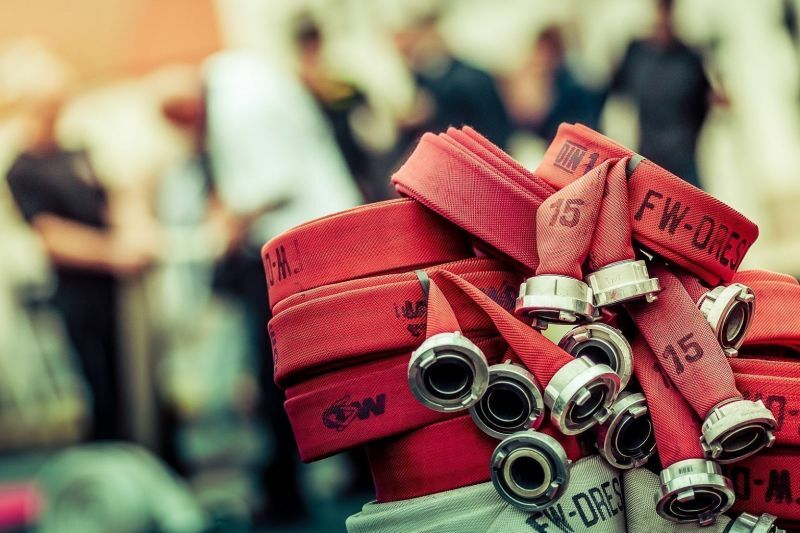 What is a more suitable gift for a firefighter than a product made of recycled fire hose? Finding the perfect gift for a firefighter isn’t easy, but the unique fire hose products from Feuerwear will be a memorable surprise for anyone you give it to. And: Ordering unique fire hose products from Feuerwear is quick and easy. Choose a unique product and add it to your cart. If you select payment via Paypal, your new Feuerwear product will get to you within approx. 2-5 business days. For orders over 50€ (e.g. from the UK) there will be no extra shipping charges! Eric is the perfect companion for going downtown. With his four compartments, he provides ample storage and organizes your stuff. The buckle has an adjustable strap, so even your spontaneous weekly shopping can be transported with ease. 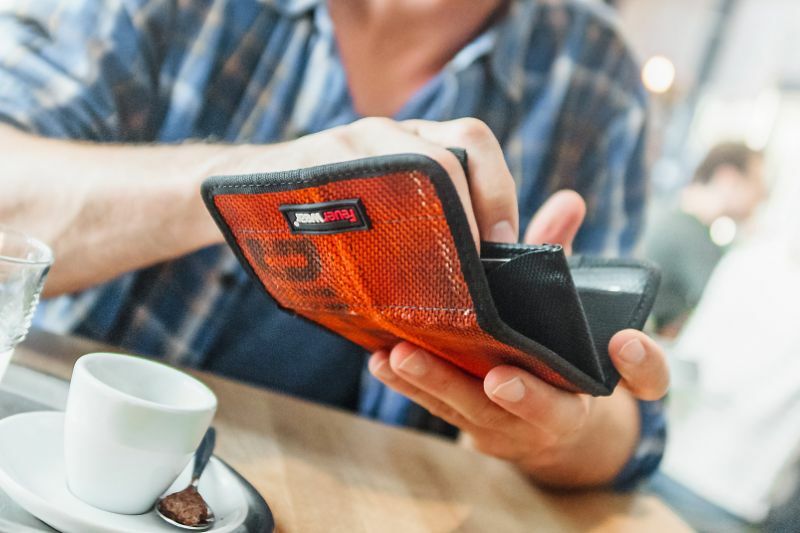 Our wallets in four practical models offer something for everyone. Each one is extremely sturdy and water-repellant. They provide more than enough room for change, ID, cards and bills. Just the right gift for firefighting enthusiasts. Hardly any other gift can be more "firefighter"
Our range of shoulder and laptop bags leave nothing to be desired: We have everything from the 18 Liter bicycle bag to the practical A4 bag. Each one is made of real fire hose and provides lots of space for all your important things. How about a smartphone case made from fire hose as a gift? With the help of our case finder, you will definitely find the right case to give! We offer our smartphone case Mitch in seven different sizes, suitable for almost every smartphone. All cases are made of recycled fire hose and are lined with microfiber. We give yesterday’s life-saving fire hose a new purpose. Our striking belts "Bob" and "Bill" are gifts that are sure to light up the face of every firefighting fan. Either belt can be individually cut to length and is available in red, black and white. Do you need a suitable gift right away? Our voucher is the perfect idea! 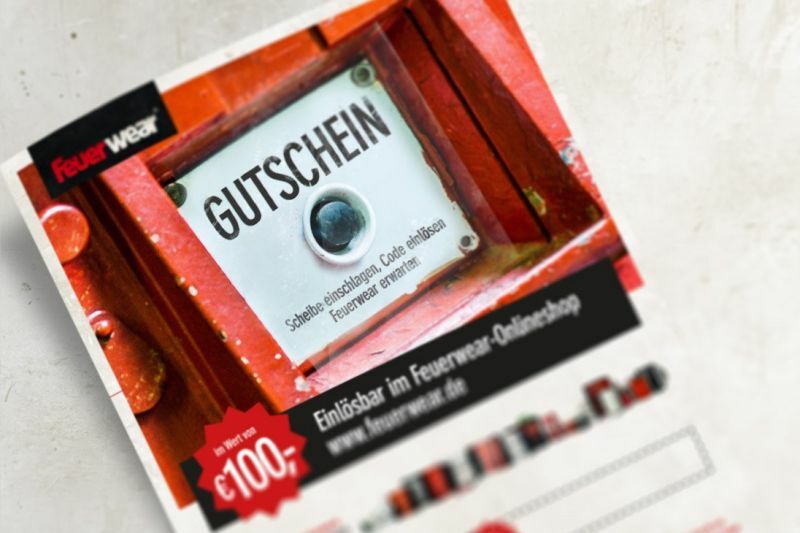 The Feuerwear voucher is activated immediately after receipt of payment and can be printed in just a few minutes. Of course our vouchers can also be freely combined. So pooling funds with colleagues is not a problem! For years the firehoses helped save lives in countless fire-fighting missions. They were dragged through rubble and mud and had to withstand ­flames and heat and transport many thousands of cubic metres of water. Today, it makes sure to keep water out of your backpack. The individual markings of various fire stations and traces of fire-fighting missions also make each Eric backpack truly unique.